Those who have followed this series will remember that English kl-words form a loose fraternity of clinging, clinking, and clotted-cluttered things. Clover, cloth, clod, cloud, and clout have figured prominently in the story. Many more nouns and verbs belonging to this group deserve our attention, but, since the principle is clear, we should probably make a pause and turn to another subject. However, one kl-word is too interesting to fall by the wayside. Hence the grand finale: a post on clown. Clown surfaced in English texts in the second half of the sixteenth century and was recorded in several forms: cl– and –n were stable, but the vowels varied for somewhat unclear reasons. The word’s initial meaning was “a countryman, rustic; peasant,” and Macaulay in The History of England, with his fondness for archaic terms, still found it possible to say in 1849: “The Somerset clowns, with their scythes…faced the royal horse like the old soldiers” (OED). I wonder how many of Dickens’s contemporaries understood this sentence correctly. The OED traces the sense “a fool or jester, as a stage character” to almost the same time (1600). The step from “jester; rustic buffoon” to a character in a circus performance is short, but the recorded examples of this usage are late (none antedates 1722). Our modern idea of a clown. The word’s meaning in the Elizabethan days suggests that we are dealing with slang and that clown was a term of abuse. The coexistence of three early forms (cloyne, cloine, and clowne) may reflect the speakers’ uncertainty about the so-called true shape of the word (or, to put it differently, no standard form had yet been established). The word must have been fairly recent, perhaps borrowed from a dialect or from abroad. And indeed, all those who have thought about the origin of clown believe that we have here a loan from another language. However, this is where the consensus ends, for two hypotheses compete: clown, researchers say, may be of Germanic or of Romance origin. The Romance hypothesis is earlier, but it will be more convenient to begin with the Germanic one. It so happens that in Low German, Frisian, and the Scandinavian languages rather many words resemble clown; they mean “awkward person” and “lump; piece of wood.” Next to them, we find words having the structure klint ~ klant ~ klunt (or with –nd at the end) and referring to all kinds of inanimate objects. The development from “a piece of wood” to “country bumpkin” is trivial. James Murray offered a detailed list of relevant forms and concluded that clown is probably a borrowing from a Low German source. In 1988, Frits van der Kuip investigated the origin of Frisian klúnje (the sense “piece of wood” takes center stage in his material), and the words he cited should supplant the traditional Frisian cognates in entries on clown. (The article is in Frisian, but linguists have no language threshold. Right?) I am afraid that, while formulating his conclusion, Van der Kuip was not fully aware of the complexity of the kl-group; in any case, he too believed that Engl. 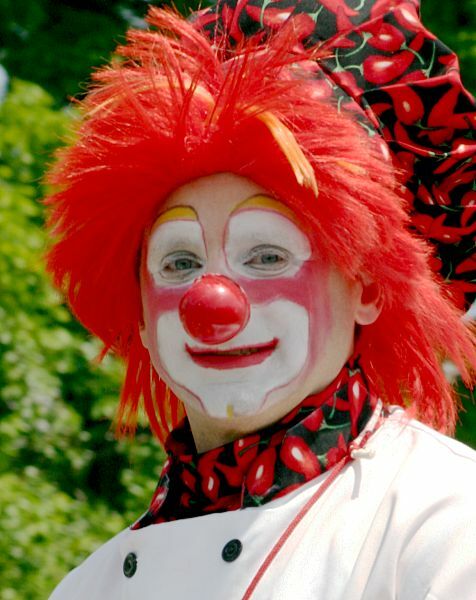 clown is a word of Germanic origin. Murray’s is a more reasonable derivation than Skeat’s, who probably depended too much on Modern Icelandic klunni “awkward boorish fellow” and declared clown to be of Scandinavian origin. But such late borrowings into English from Scandinavian, though possible, are rare, and, in dealing with clown, good reasons have to be given for preferring Danish or Norwegian as the source language to Low German. For comparison, clumsy, another sixteenth-century word belonging to the semantic field of clown, may be of Scandinavian origin because it is surrounded by numerous dialectal adjectives and verbs. Here perhaps a local word made it to London, as, for instance, pimp and slang once did, but clown is devoid of such a background. Yet even the history of clumsy is obscure, for all those Scandinavian words can be of German provenance. I would exclude klunni from any discussion of clown. It is said to be a reflex of klunþi (= klunthi). However, this noun was attested late and is, more likely, non-native. The earliest etymology of clown connects it with Latin colōnus “farmer, settler.” The idea is usually traced to Ben Jonson’s 1633 comedy A Tale of a Tub (not to be confused with Swift’s parody of the same name). In Act 1, Scene 2, a long dialogue occurs in which this derivation is argued, but Jonson might be making fun of what was common knowledge at his time. Apparently, he disliked the new-fangled word, as he disliked clumsy, which he ridiculed in The Poetaster. The first etymological dictionary of English appeared in 1616, and its author (John Minsheu) already thought that clown goes back to colōnus, though he also cited a possible Dutch cognate (the same that much later appeared in Wedgwood’s dictionary!). With very few exceptions, all the English dictionaries, including the many editions of Webster, shared Minsheu’s view. The same holds for the main modern German dictionaries. In the past, some dissenters offered fanciful hypotheses that need not be summarized here. Murray rejected the Latin etymon, for, in his opinion, evidence confirming the ties between clown and colōnus is wanting. The OED online, which has preserved Murray’s text almost intact, no longer mentions colōnus. THIS is the original, authentic clown. Here I should recount a small but curious episode in the history of English etymology. On 2 January 1943, a letter, signed by Lexicographer, appeared in The Times Literary Supplement (p. 7). The anonymous author called his colleagues’ attention to the publication by Professor T. F. O’Rahilly of an article in the periodical Ériu that should be of interest to English scholars. He made a special note of O’Rahilly’s etymology of the word clown. 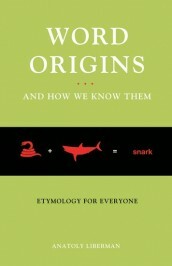 The etymology, about which more will be said presently, is indeed interesting. I have no knowledge of the lexicographer’s identity. The person, I presume, must have been employed by the OED, and for some time I wondered whether it was Charles Onions who had written the letter. But this reconstruction cannot be correct, for in the fifties Onions edited The Oxford Dictionary of English Etymology, and, if he had thought so highly of the article in Ériu, he would have made at least some use of it. Perhaps someone will be able to enlighten us on this subject. 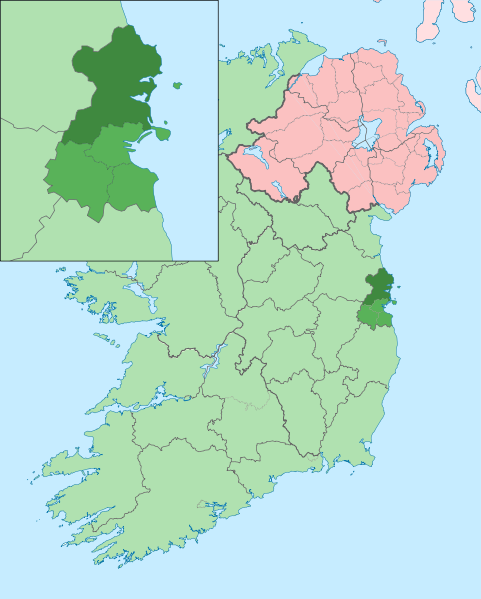 Fingal(l): A possible place from which the word clown came to England. If O’Rahilly was right, clown does go back to colōnus, but via Irish. By the time this word turned up in English texts (1563), it might have been known for some time. But what about the Germanic words cited in connection with clown? Perhaps they need not be dismissed as irrelevant, but no evidence points to their currency in Elizabethan England, while the Irish route looks real. Let the question remain half-open. Image credits: (1) “Clown chili peppers” by Rick Dikeman, CC BY-SA 3.0 via Wikimedia Commons. (2) Anglo-Saxon ploughmen, Public Domain via Wikimedia Commons (3) Island of Ireland location map Fingal, CC BY-SA 3.0 via Wikimedia Commons. Featured image: Circus Facade by reverent, Public Domain via Pixabay. The 1943 letter in The Times Literary Supplement was apparently (based on the online version of TLS) written by Dr. Eric St. John Brooks. An obituary is available in The Journal of the Royal Society of Antiquaries of Ireland 86 (1956) 108-109.